Big news in Fiction Dailyland this morning … the bluebirds have gone! 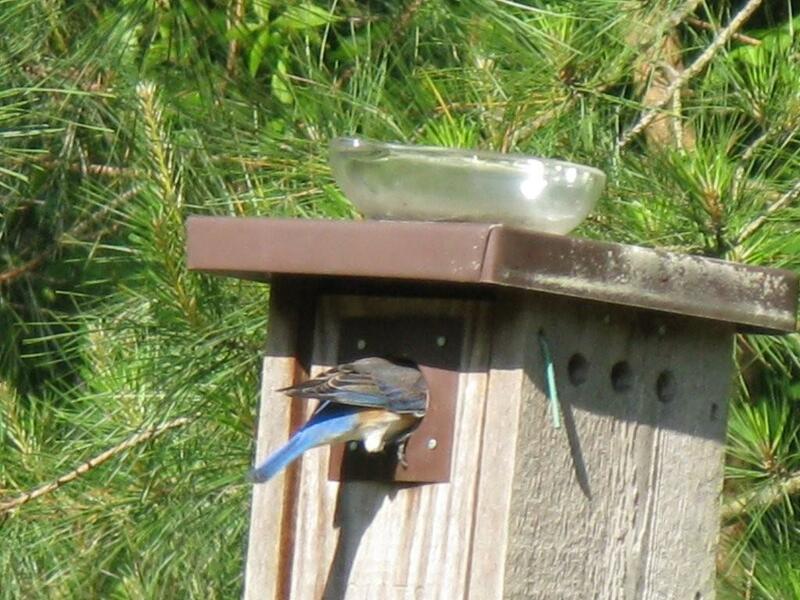 I placed worms out for the bluebird parents early this morning and noticed that only the mom showed up. She looked a big harried, I’ll admit. No sign of the father. Mrs. Blue picked up a few worms and took them high into a tree in our backyard woods. So I suspected something was up. When I returned home last night I put out some worms. It was about 8 p.m. No sign of Mr. and Mrs. Blue. I figured it was too late for feeding. But I suspected something was up. I left the worms for them, which were gone this morning. After seeing Mrs. Blue fly away this morning, I watched the nest for a few more minutes. Nothing. I gently tapped on the box, slowly cracked the door … lifted out the nest cup … empty! At this point, it was quite heavy, however. Though the bluebird parents remove most of their babies’ excrement, once they’re nearly ready to fledge, it’s hard to keep up with it all. 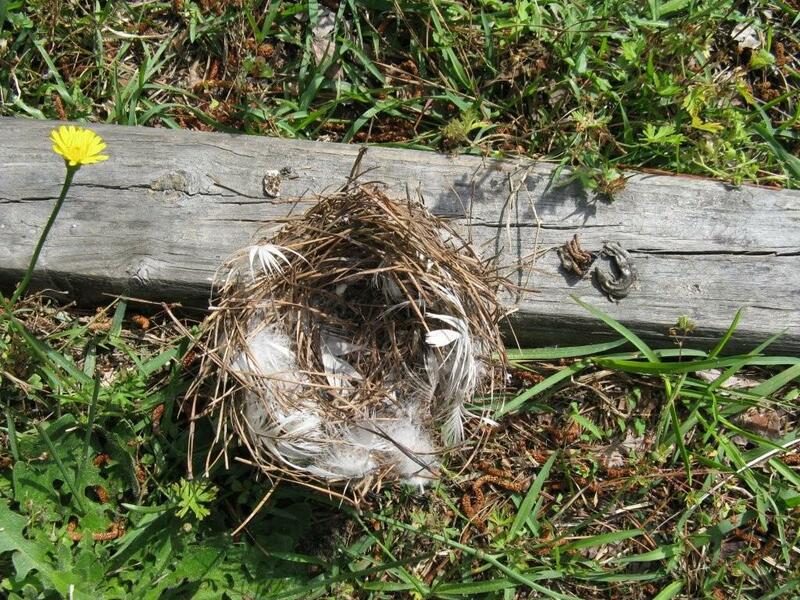 So by the time they leave, the nest is full of, well, marvels. I found a dead salamander and camel cricket, as well as a few uneaten meal worms. There was a lot of heavy bird dust, flakes of waste, down and who knows what. Unfortunately, the nest was infested with mites. When I see mites on the babies, I try to clean them up. 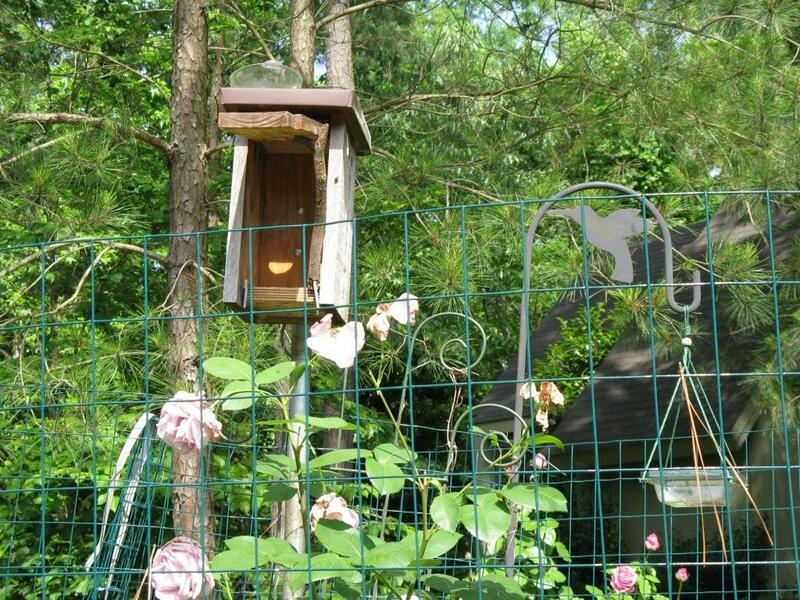 I’ve even changed nests before — removing the mite-filled one, and making a new one myself out of pine straw. So today, despite the mites, another happy ending. I’ve washed out the box and nest cup and propped it open to dry in the sun. In a week or so, we’ll have a new nest. MIDDAY UPDATE: I’ve placed worms out and Mrs. Blue has come to get them. I saw two birds follow her into a tree, and I’ve heard the soft, low “coo” they use to call each other in the woods behind our house. I also heard a male’s song, so he must be quite happy, too. Congratulations! Your chicks have flown the coop. Really, so kind of you. I shouldn’t take any credit at all, but somehow I feel proud, as well.